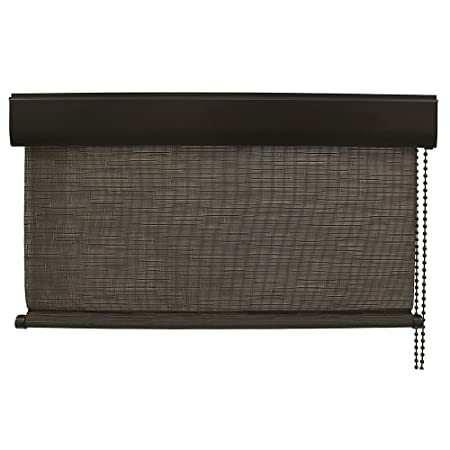 Keystone Fabrics Diamond Plus Series Exterior Rollup Solar Shade If the sun heats up your home or patio, then our shades are perfect for you. Our shades block the sun’s rays before they heat up your window or patio. This dramatically reduces heat and glare inside your living space. Keystone Diamond Plus shades block up to 90 of UVA rays. Additionally, our shades block the sun, not your view, so you are able to enjoy the scenery. 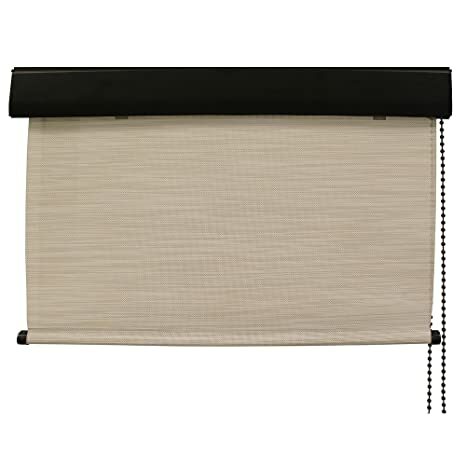 Our Diamond Series includes a valance and is cord operated. 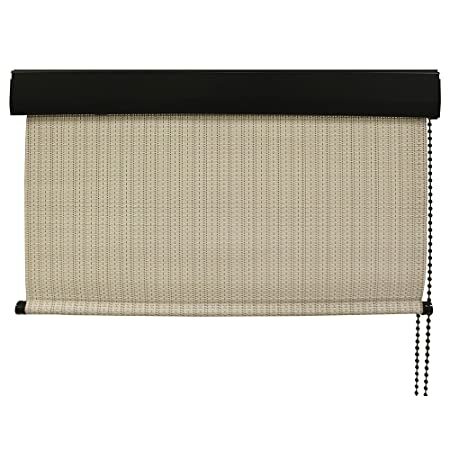 The valance has an oil-rubbed bronze finish. These shades feature our “easy install system”. All hardware needed to install the shade is included. The shade also includes a bungee tie down system, so it won’t hit your window or patio in mild to moderate wind conditions. This shade comes in 4′, 6′, 8′ and 10′ widths and all shades have an 8′ fabric drop. Available fabric colors include Maui (72 UVA block), Tropic Bahama (85 UVA block), Caribbean (90 UVA block) and Kona (90 UVA block). If the sun heats up your home or patio, then our shades are perfect for you. Our shades block the sun’s rays before they heat up your window or patio. This dramatically reduces heat and glare inside your living space. Keystone Titanium Plus shades block up to 90 of UVA rays. Additionally, our shades block the sun, not your view, so you are able to enjoy the scenery. Our Titanium Series includes a valance and is pole operated which provides a safer option for use around children and pets. 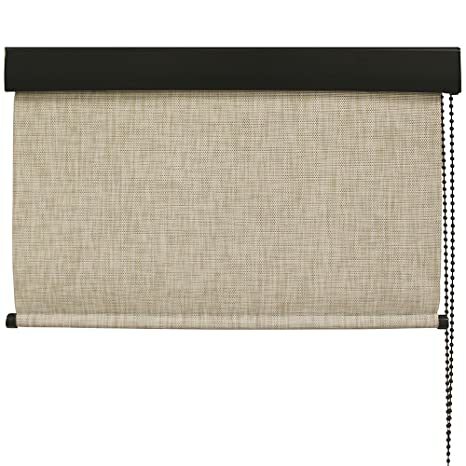 The valance has an oil-rubbed bronze finish. These shades feature our “easy install system”. All hardware needed to install the shade is included. This shade also includes a bungee tie down system, so it won’t hit your window or patio in mild to moderate wind conditions. This shade comes in 4′, 6′, 8′ and 10′ widths and all shades have an 8′ fabric drop. Available fabric colors include Maui (72 UVA block), Tropic Bahama (85 UVA block), Caribbean (90 UVA block) and Kona (90 UVA block). 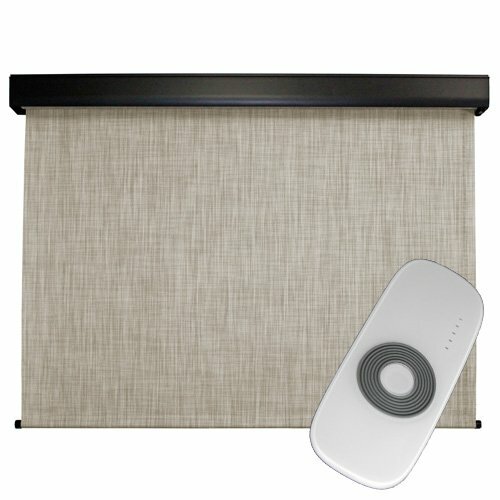 The Titanium Plus (crank operated) Series shade is made with PVC coated polyester yarn and is designed with a rugged Valance. This shade is available in four different colors and four sizes. 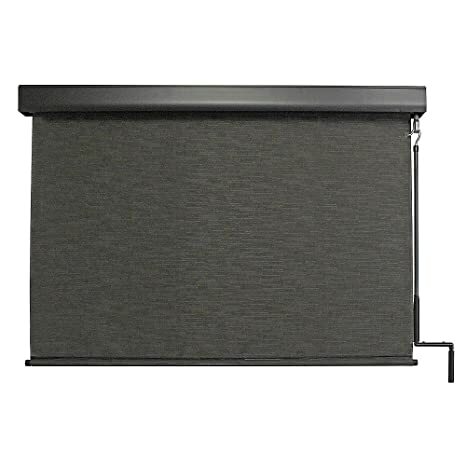 Built for both outdoor and indoor use, this shade provides a great and affordable way to save energy and cut sun glare. These shades block the sun and not your view, while allowing air to flow through. They dramatically cool your home and patio. In addition, they help to reduce fading of carpet, drapes, floors as well as reducing the glare on TV’s and computers. The fabric used on the Diamond Plus Series cuts up to 88-percent of UV rays. These shades are perfect for patios, windows, backyards and pergolas. 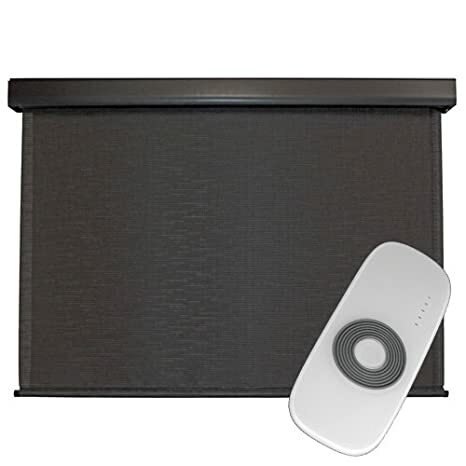 The Elite Plus motor operated) Series shade is made with PVC coated polyester yarn and is designed with a rugged Valance. This shade is available in four different colors and four sizes. Built for both outdoor and indoor use, this shade provides a great and affordable way to save energy and cut sun glare. These shades block the sun and not your view, while allowing air to flow through. They dramatically cool your home and patio. In addition, they help to reduce fading of carpet, drapes, floors as well as reducing the glare on TV’s and computers. The fabric used on the Diamond Plus Series cuts up to 88-percent of UV rays. These shades are perfect for patios, windows, backyards and pergolas.